It’s February 29th, which only happens every four years and I’m still rollin’ deep in pickles that I made (myself) back in late August. Maybe it’s not the height of summer pickling, but you might wanna tuck this away – bookmark it – for the coming weeks, because there’s nothing sweeter, crispier and snappier than doing something yourself. For the purpose of this (successful) experiment, instead of planting my own cucumbers, I arranged a secret produce deal with my local Wegman’s dude. In an effort to make it less conspicuous, we met over by the cheese department and I asked him if he had any of the ‘good stuff’. I needed a case of cucumbers from Jersey and he ‘knew a guy’. 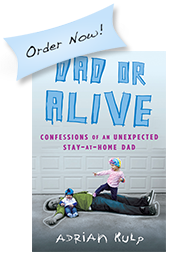 I slipped him my number, written on a dried-out baby wipe and the wheels started turning. 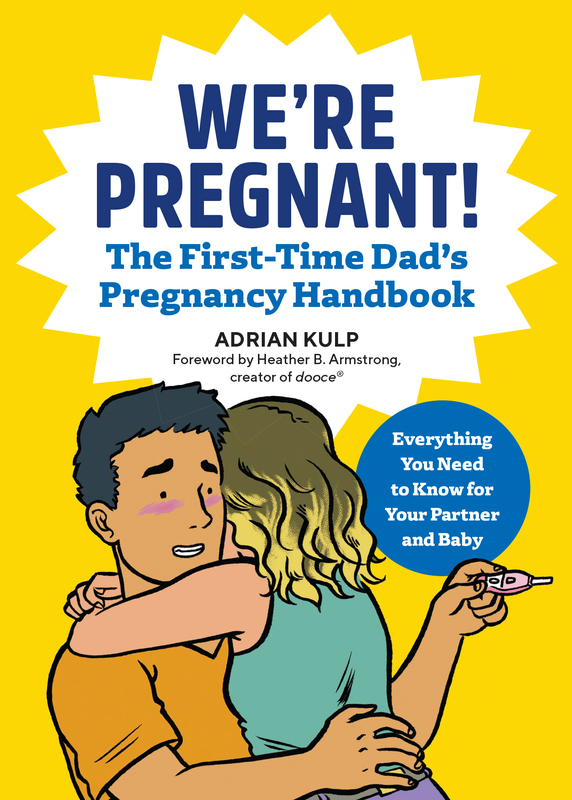 Here’s what you’ll need and the way to do it. BEFORE YOU GO OFF HALF-COCKED: THIS RECIPE WILL FILL 6 QUART-SIZED BALL JARS…I double my brine and lit up an entire case of jars. 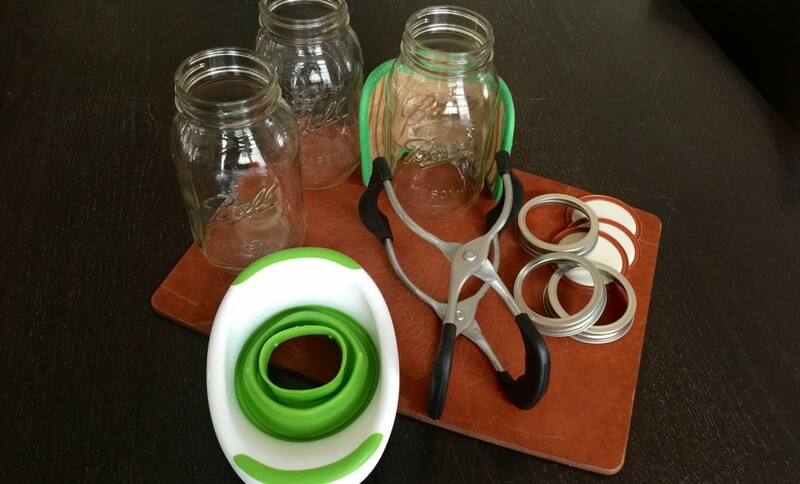 Mason Ball jars, lids, rims, the glove, the gripper and a funnel doesn’t hurt – it only makes your life easier. 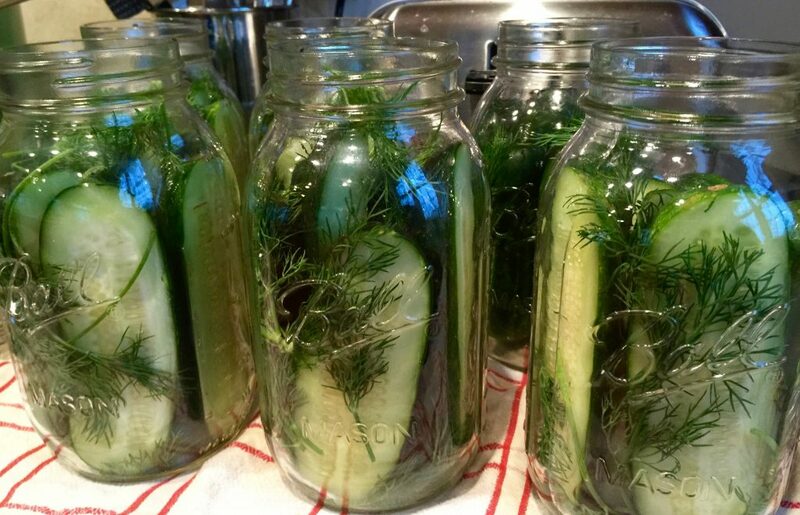 Divide cucumbers in halves or quarters, remove stems from dill and stuff your quart-sized Ball jars. Bring your liquid, salt, sugar and herbs to a boil and allow to cool for a second. 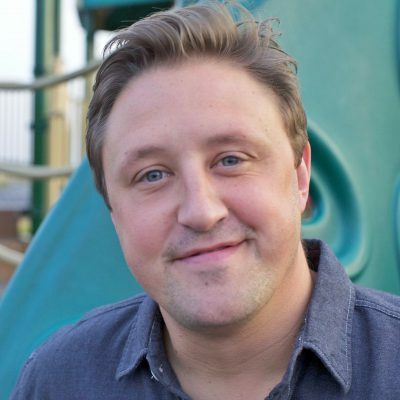 Adjust your liquid – nothing worse than coming up short. 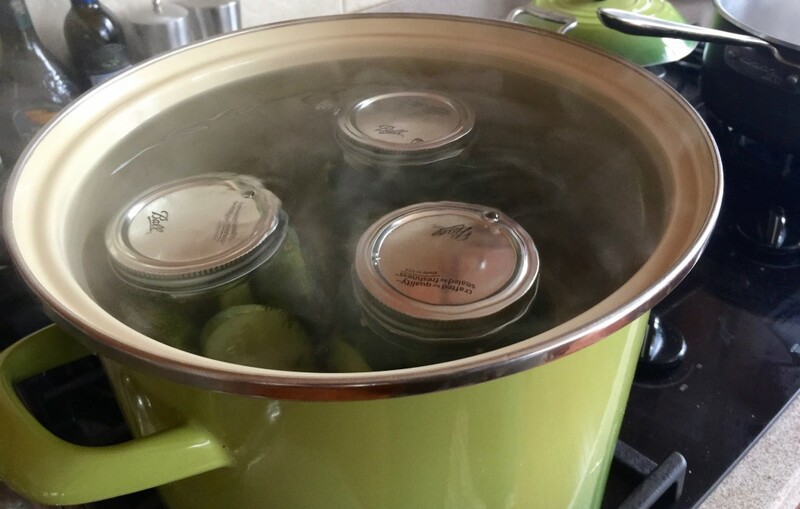 Pour your liquid over the jarred cucumbers, apply the lid and then the rim, tightening, but not fully – you want to allow room for air to bleed from the jars while you boil. NOTE: At this point, boiling isn’t absolutely necessary, however, you’ll need to move the jars into refrigeration, where they’ll stay good for up to 30 days-ish. I like to seal the deal on these bad boys (boil) and stockpile them for the long haul. In your 10-quart stock pot, bring the water to a gentle boil, use your jar grabber and softly lower three jars into the bath. 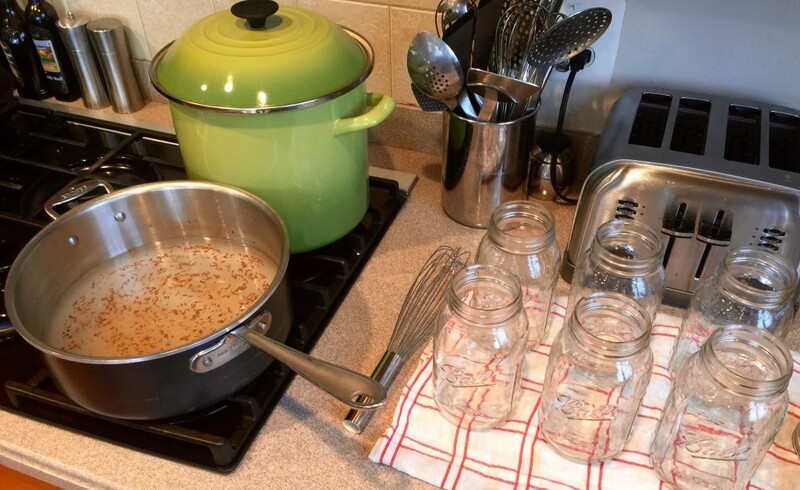 The jars will slowly leak air – once the bubbles cease, you’re good to pull them form the bath and let rest on a kitchen towel (or the underwear). 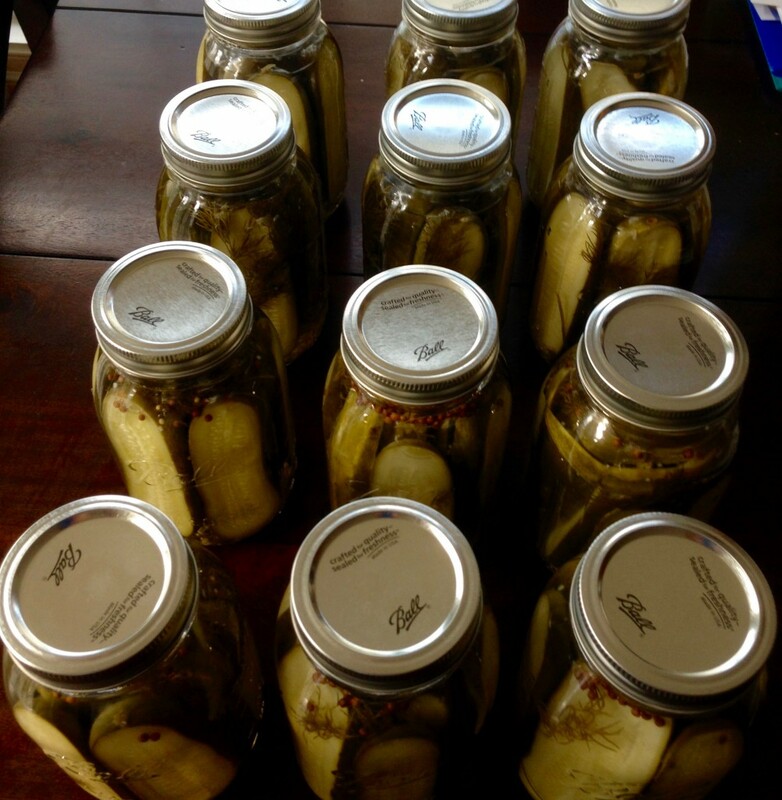 As a foodie, these make great gifts – if someone handed me a jar of homemade pickles while leaving their house? PREPARE FOR THE HUG. Move these to your cabinet/pantry and allow to soak in that brine – AT LEAST 30 days. I was chomping at the bit and started handing them off as gifts around DAY 40. THEY WERE AMAZING. 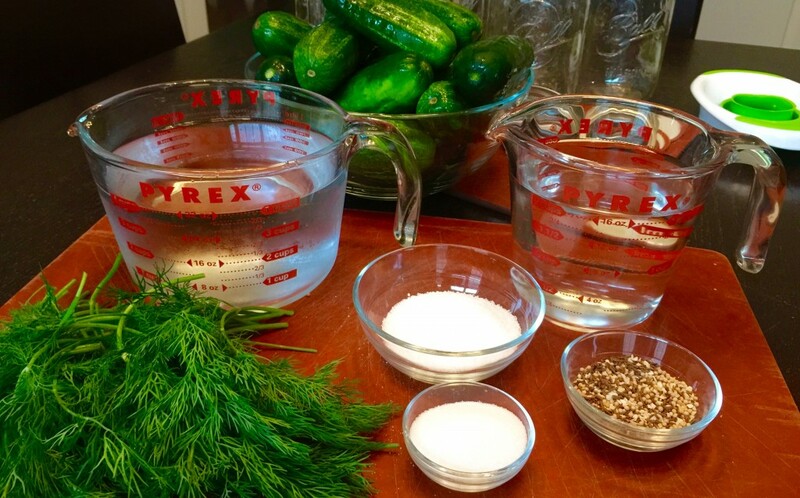 The water that I used to brine these jars came from my PUR partners, straight from the faucet attachment and that makes me feel good – knowing that those pickles were soaked in water without contaminants. 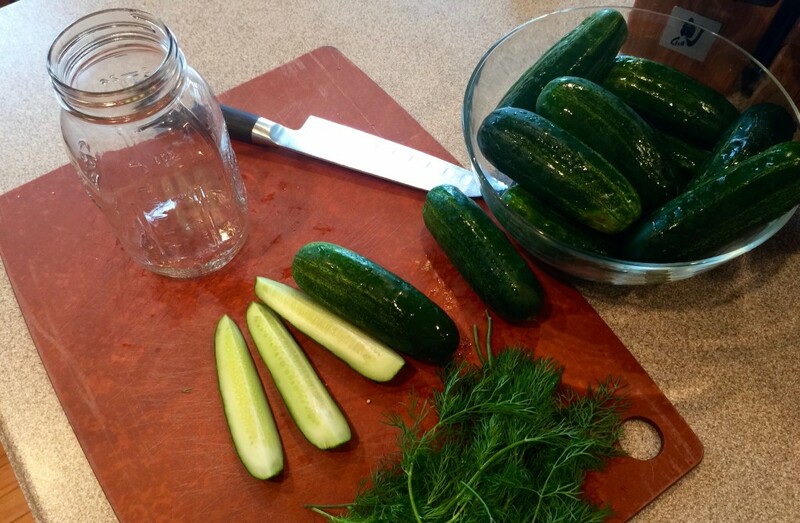 Think about everything you’re putting in not only your body, but your kid’s… AND SEND ME A JAR OF YOUR PICKLES!